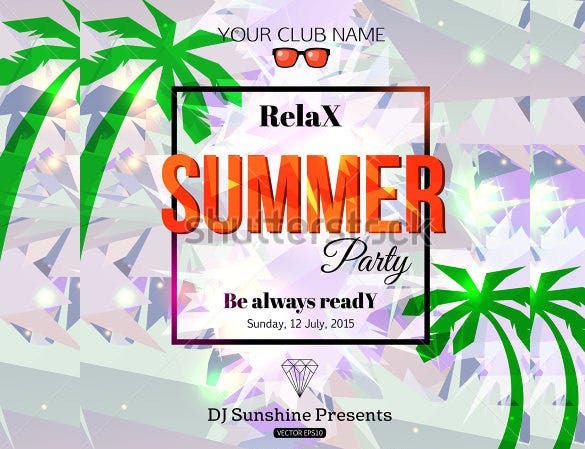 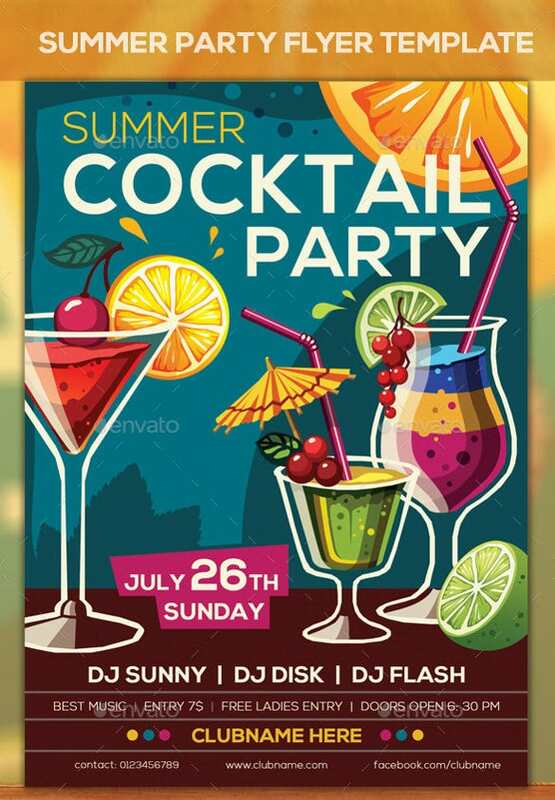 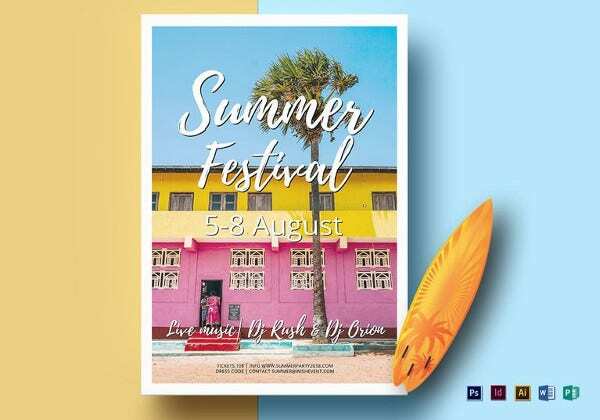 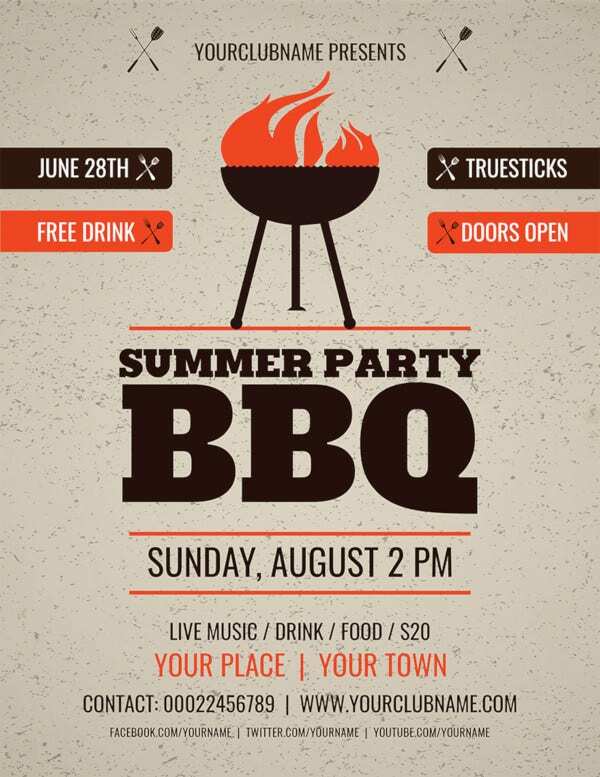 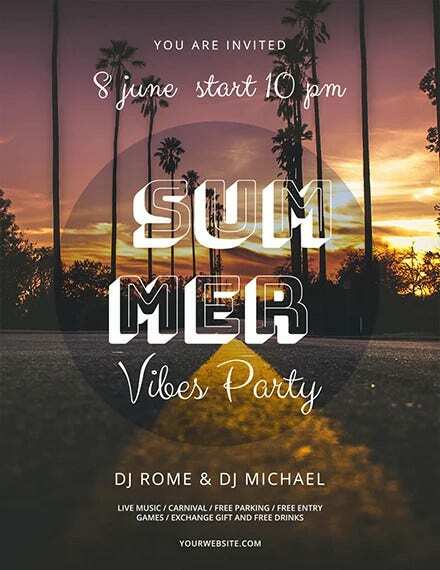 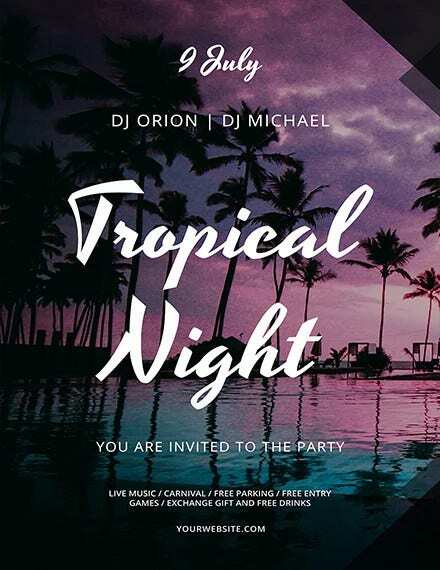 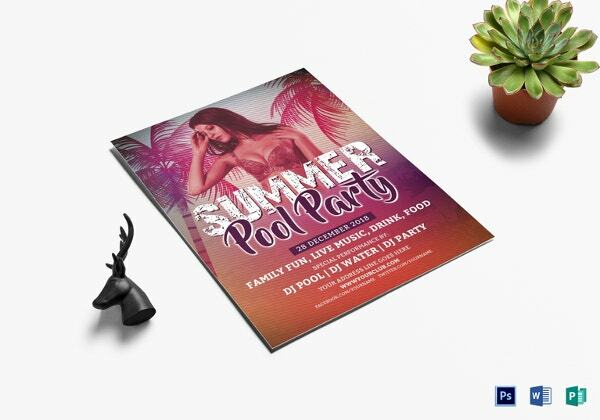 Summer is a time for rest and relaxation and it is also the best time to host a perfect summer party with lot of friends, fun and a large supply of good mouth watering barbecue and never ending drinks. 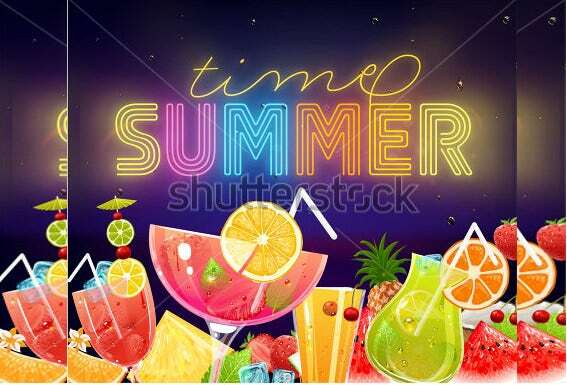 Summer is the most time of the year. 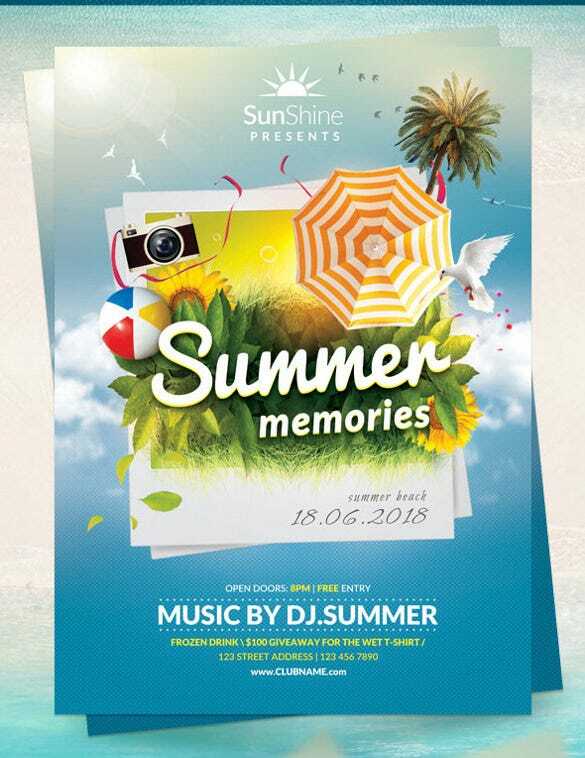 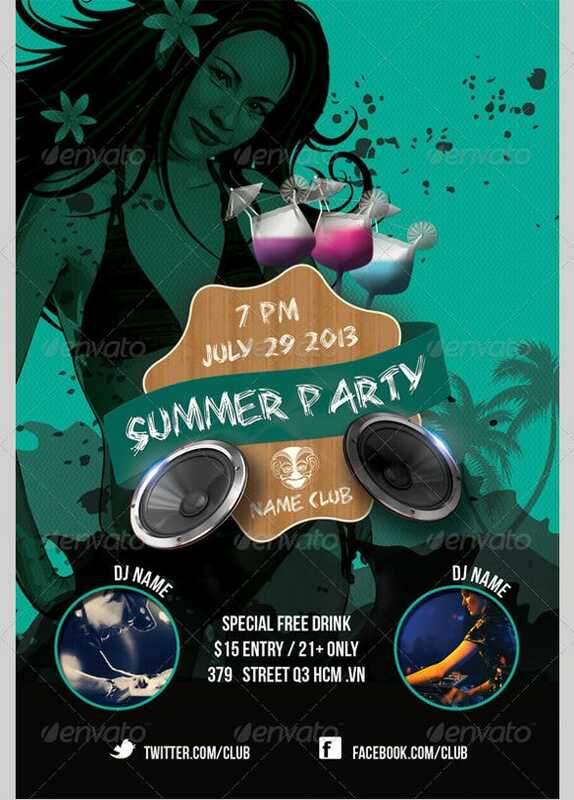 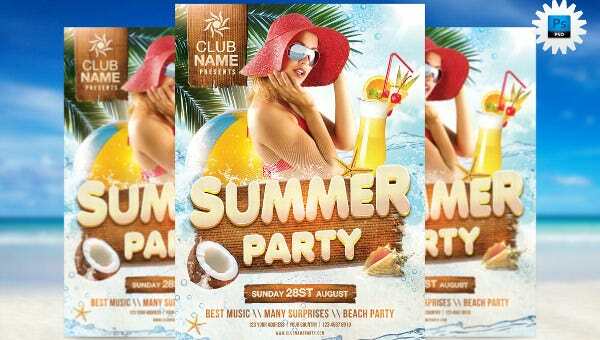 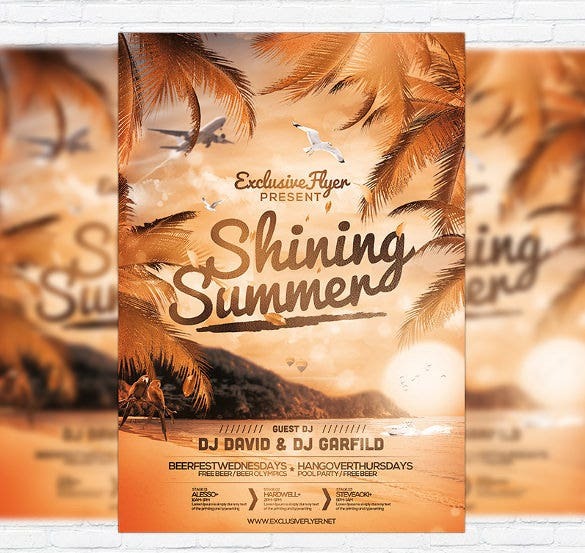 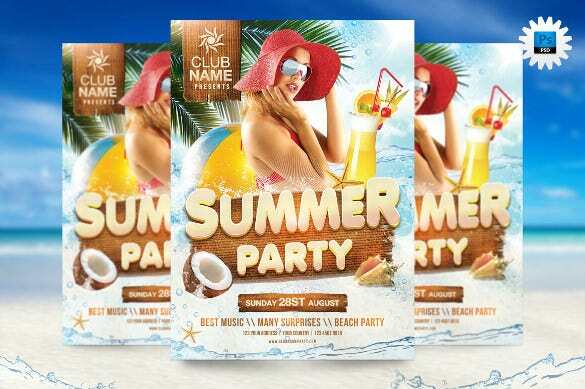 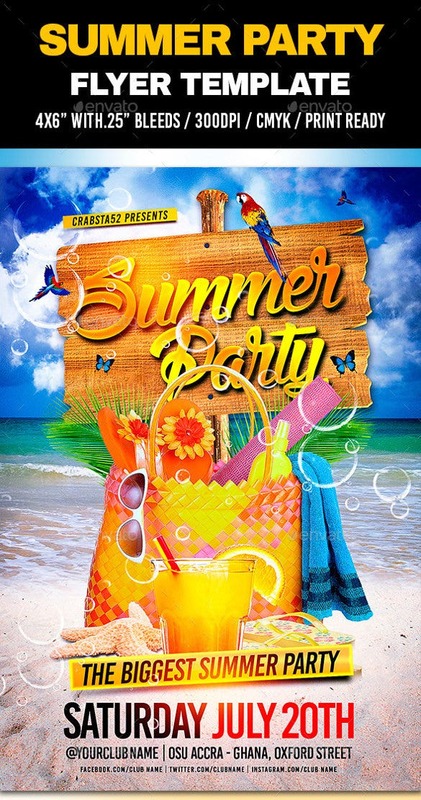 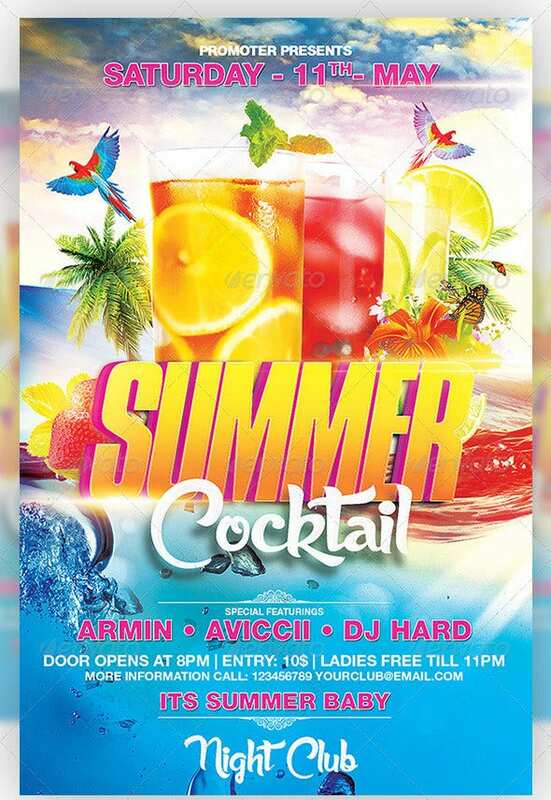 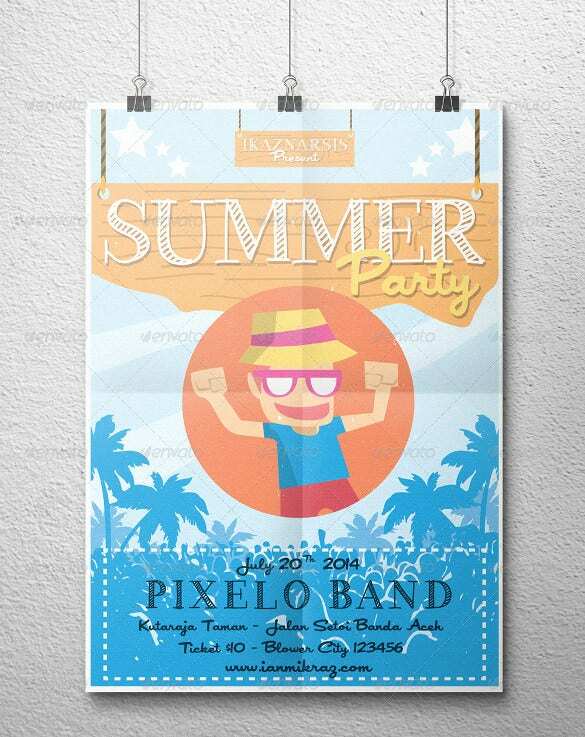 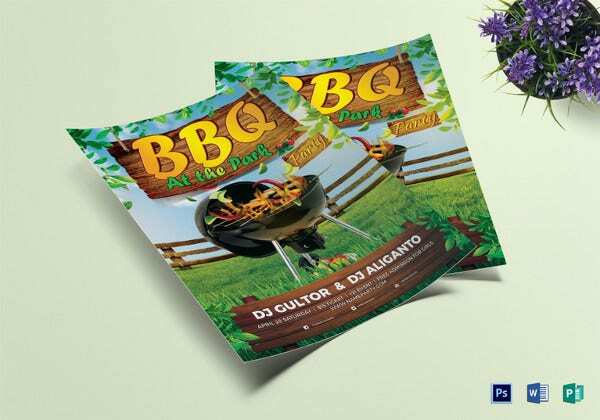 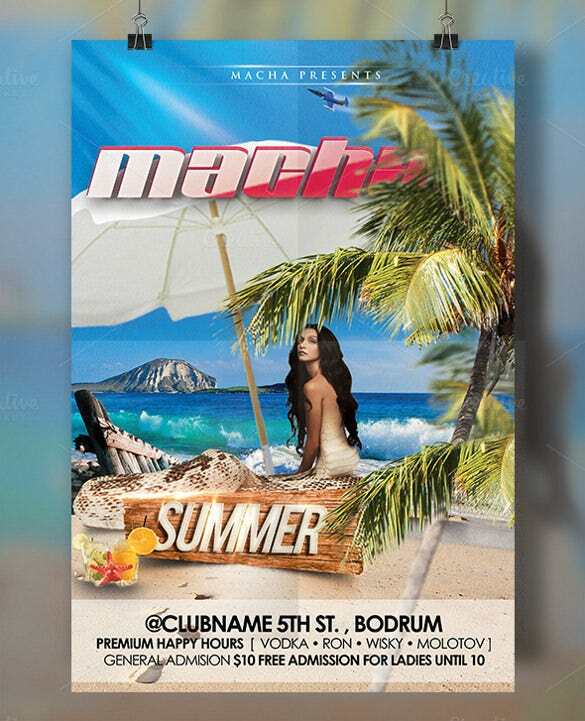 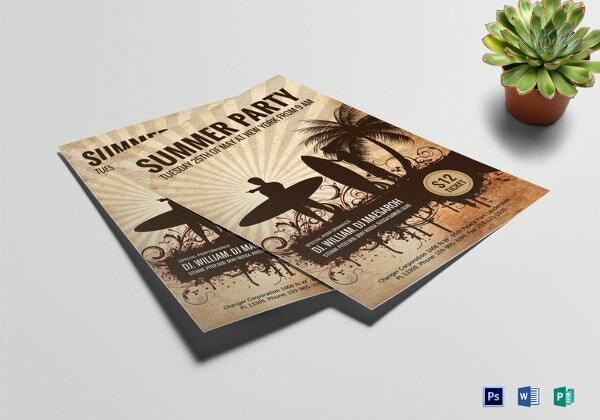 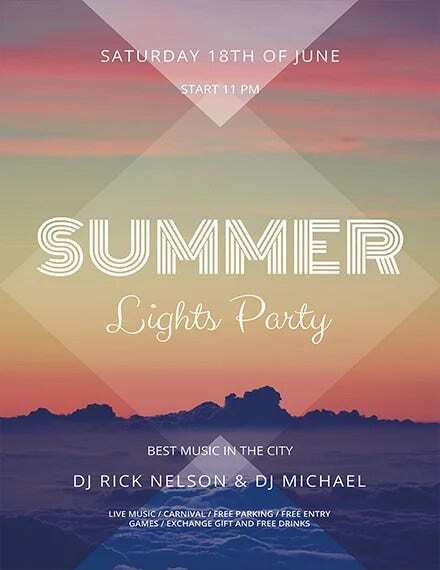 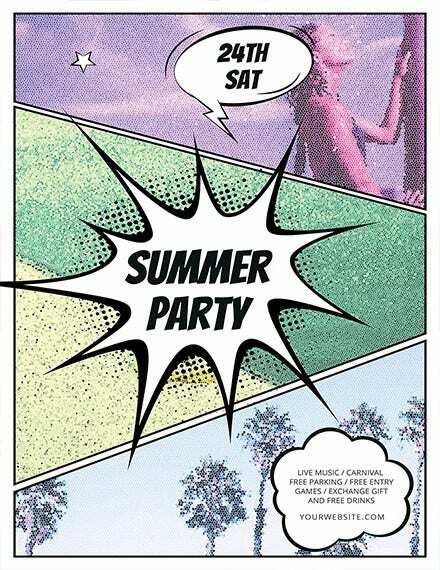 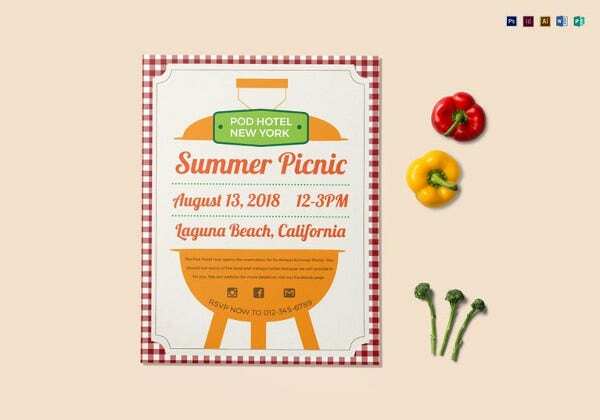 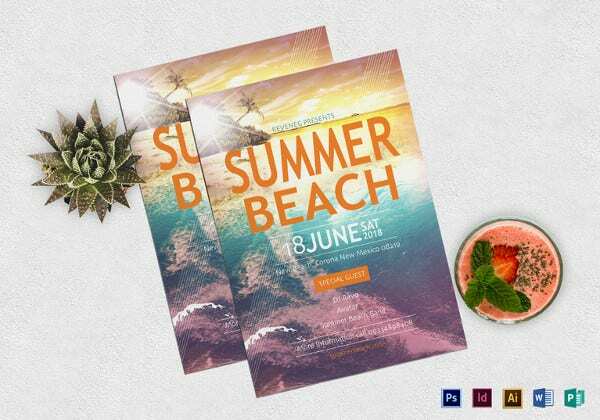 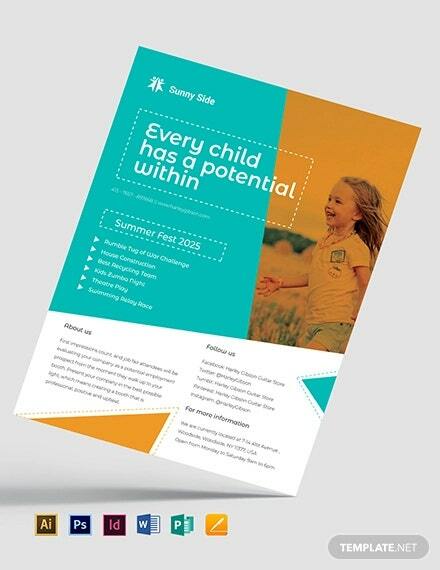 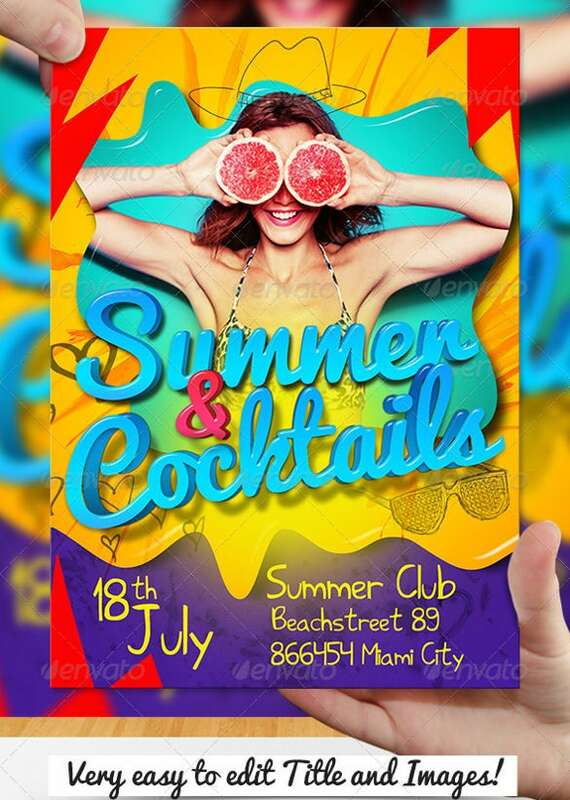 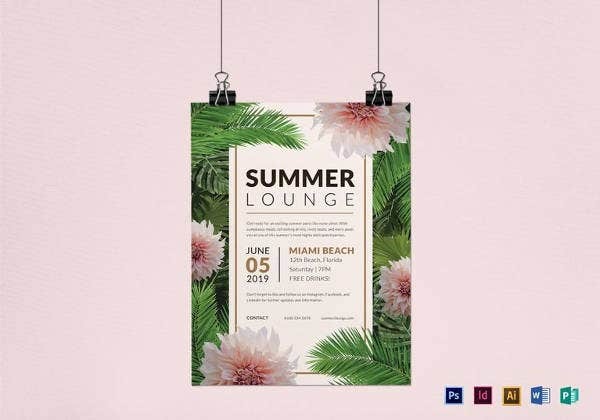 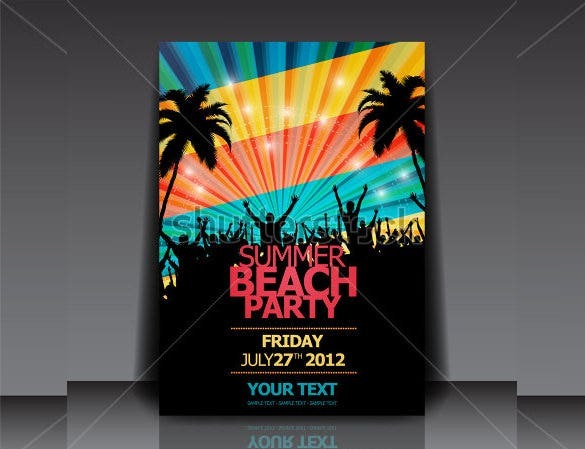 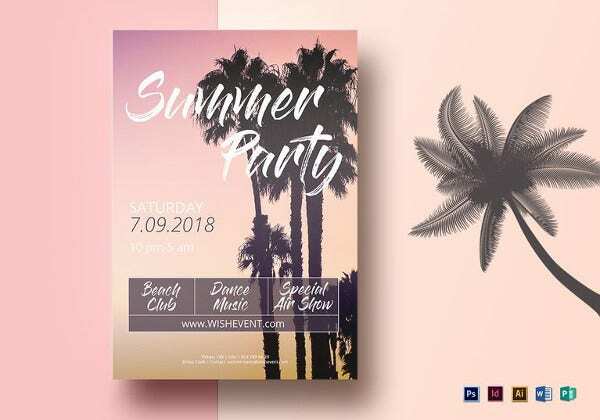 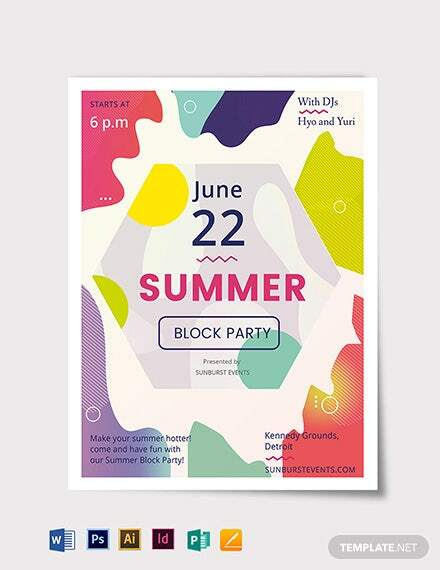 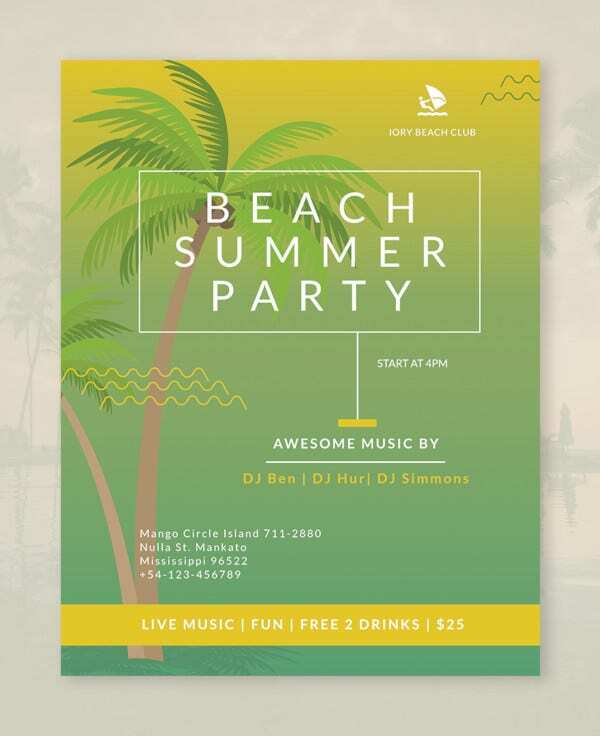 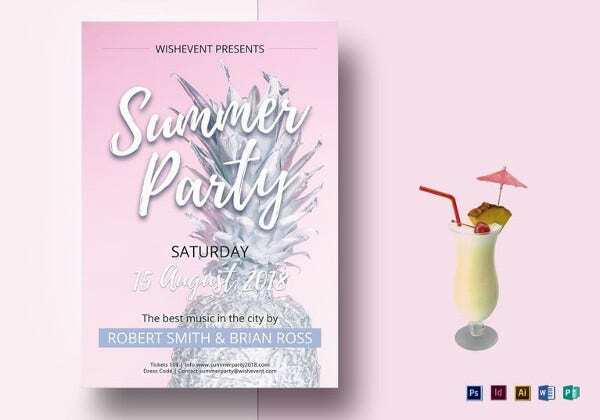 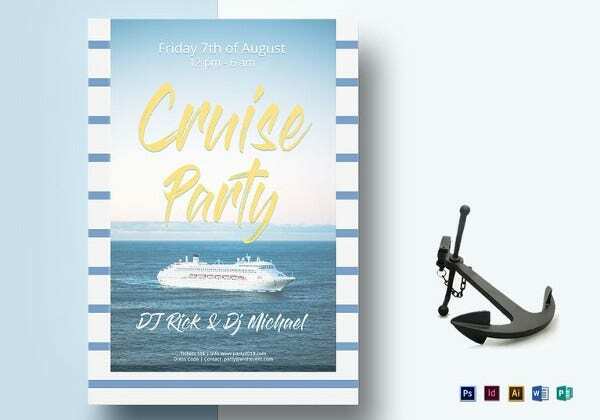 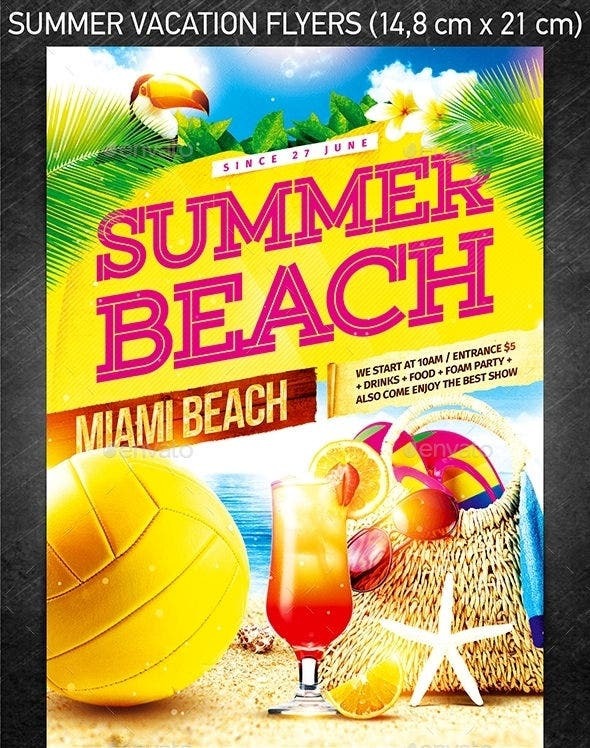 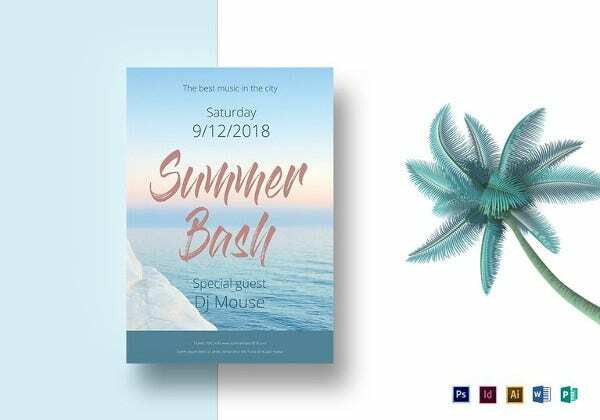 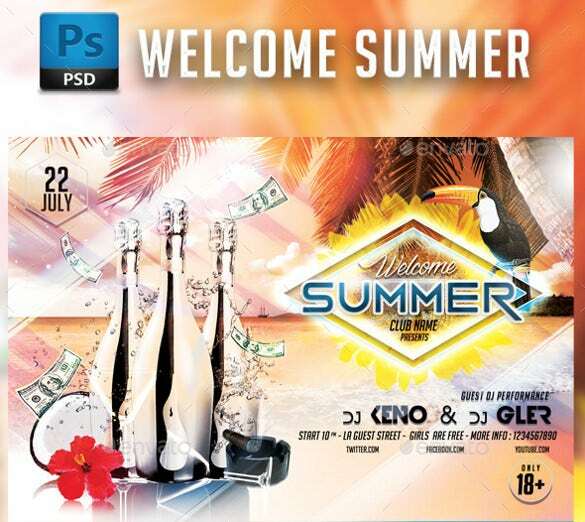 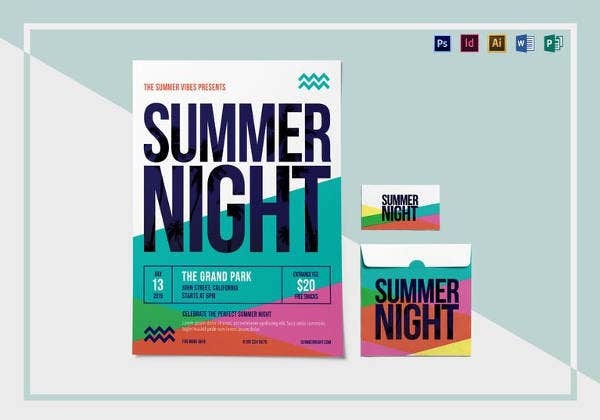 Now easily invite people to your gala summer party with the help of this flyer samples. 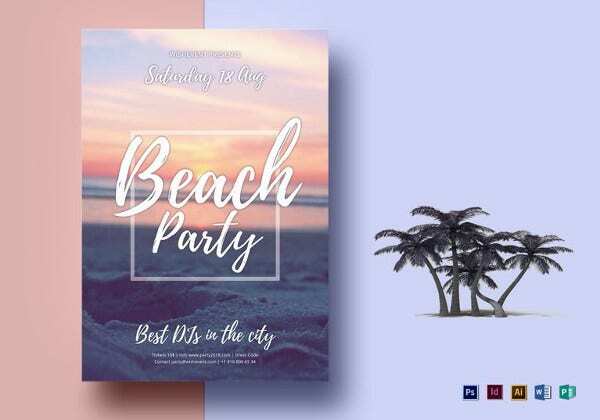 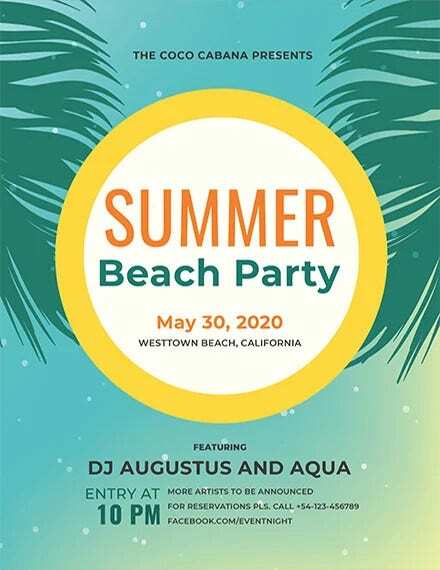 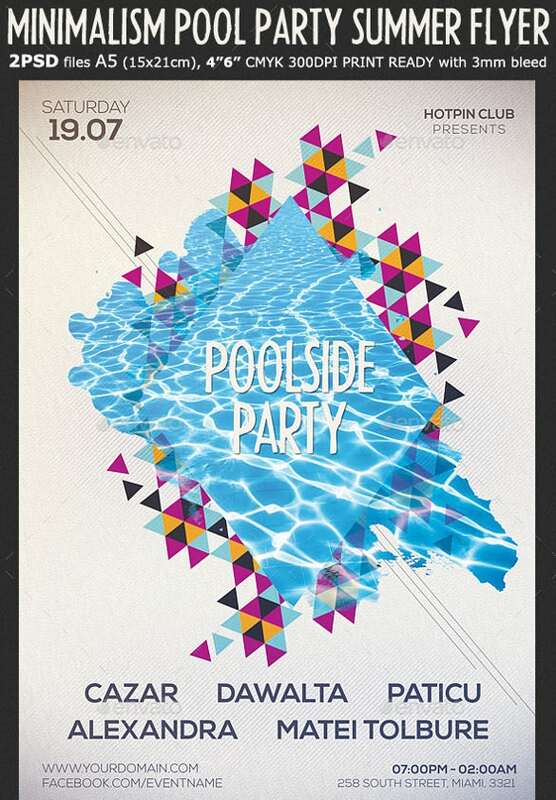 You can also see Beach Party Flyers. 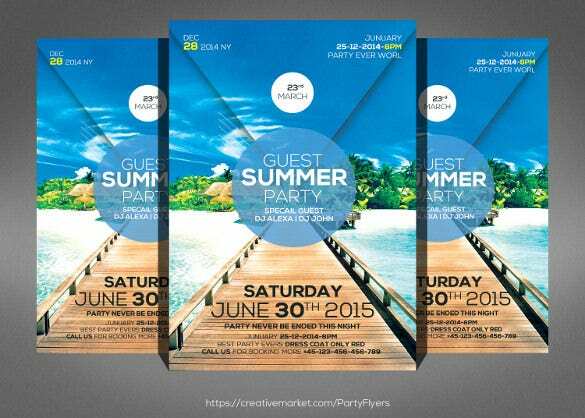 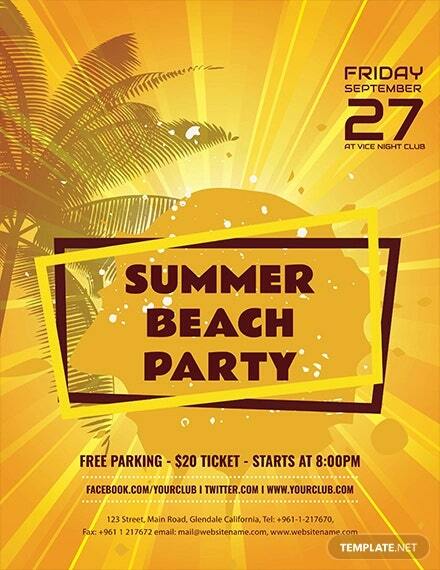 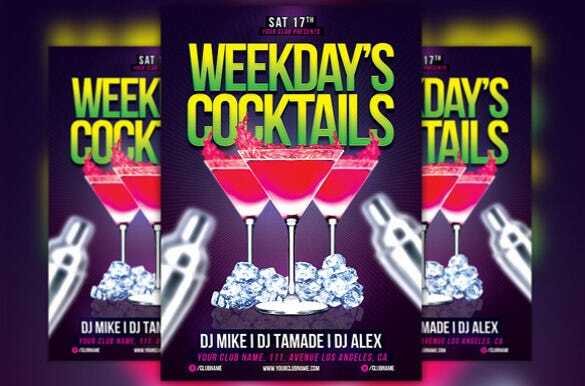 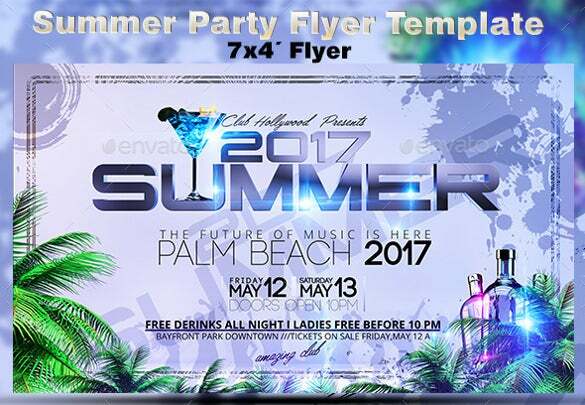 Use these amazing free flyers to get the word out about your party. 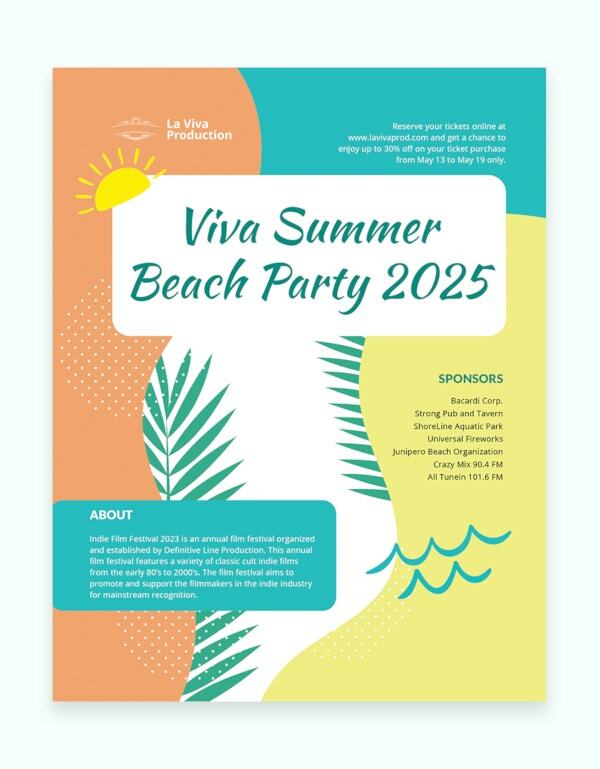 These can be edited as you see fit and there is ample space to fill in the details of the party such as the date, time, venue and location.